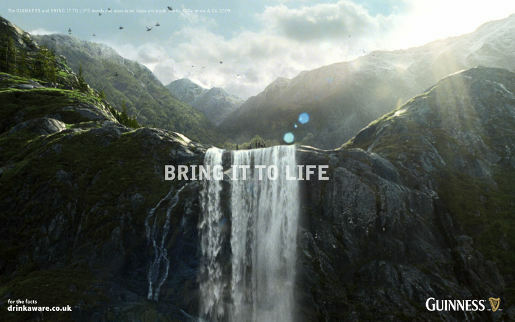 Guinness has launched a new advertising campaign, “World – Bring It To Life”, inviting members of the public to bringittolife.tv where they can use Google Earth to create their patch of the Guinness online world, from November 28. 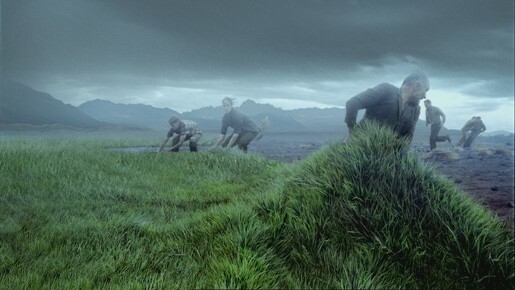 Shot on location in Canada, New Zealand, Fiji and the UK, the Guinness World TV advert shows men creating natural locations, starting with a big bang, separating continents, developing underwater coral reefs, laying out grasslands, raising high altitude forests, spreading glaciers, and releasing wildlife. The World campaign was developed at AMV BBDO, London, by creative Paul Brazier, and agency producer Yvonne Chalkley. Filming was shot by director Johnny Green via Knucklehead, London, with directors of photography Joost Van Gelder and Wally Pfister, producers Tim Katz and Fergus Brown, and set designer Grant Major. Editor was Ted Guard at The Quarry. Post production was done at The Mill, London, by producers Lucy Reid and Ben Stallard, colourists Aubrey Woodiwiss and Adam Scott, shoot supervisors Russell Tickner and Michael Gibson, lead 2D artist/Flame artist Rich Roberts, lead Flame artists Barnsley and Pete Rypstra, Flame assist Gareth Brannan, lead 3D artists Russell Tickner and Jordi Bares, 3D artists Teemu Eramaa, James Spillman, Andy Nicholas, Rick Thiele, Adrien St. Girons, Laurent Makowski, Ed Shires, Tom Blake, Andy Guest, Aidan Gibbons, Sergio Xisto, Suraj Odedra, Jules Janaud, Francois Roisin, matte painters Dave Gibbons and Lee Matthews.